A powerful domestic snow thrower. Honda's HS 750 EMA is a simple and hardworking machine that is able to clear snow right down to the ground thanks to its rubber auger. With its clearing width of 50 cm and clearing capacity of 29 tonnes per hour, the HS 750 EMA is able to make light work of domestic clearing jobs. 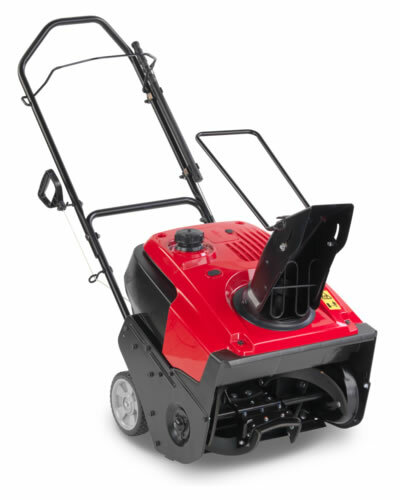 Ideal for paths and driveways, it can clear to a maximum depth of 30 cm. This means it is up five to six times quicker compared to doing the job by hand - quite a time saving. Powered by Honda's reliable GC 190 engine, snow can be thrown up to 10 metres without a problem. It benefits from low vibrations, low emissions and low noise, while being reliable and durable. It also has an easy start system, so you don't have to worry about the hassle of getting the machine going. Because the auger is made of rubber, it is able to comfortably make contact with the floor to collect every snowflake, with no extra work required. Whether working on rough or smooth surfaces, you can expect a professional finish every time. As the auger is in contact with the ground, the machine is actually propelled forwards (described as semi self-propelled), making it easier to handle. Comes with a 2 year conditional domestic warranty and a 1 year professional warranty.